This patient underwent full lipoabdominoplasty. 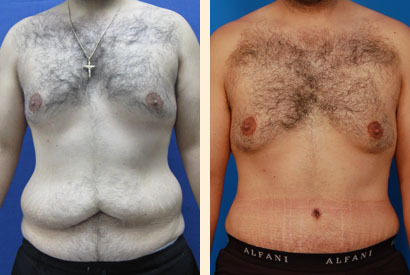 The procedure included liposuction, tightening of abdominal muscles, and tummy tuck. Note the improvement in waist definition.